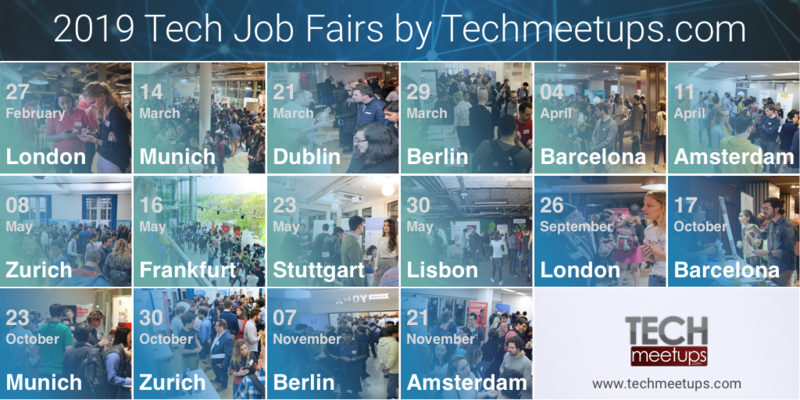 Events Calendar http://techmeetups.com/events in London, Berlin, Amsterdam, Barcelona, Dublin, Zurich, Stuttgart, Munich, Frankfurt, Paris, Lisbon, New York, Copenhagen and many more. Techmeetups.com is a Global cluster of 21 interconnected communities with 60,000+ startups & developers across the world. We help Tech companies through events like Drinks & Demo Nights, Mentoring Workshops, Master Classes, Hackathons, Job Fairs. We also have www.techstartupjobs.com to help you recruit your team.